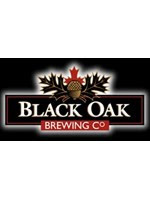 Join Black Oak Brewing Co. in celebrating their 11th year of brewing quality craft beer with a special anniversary party at the brewery on November 11, 2011. "It seems like only yesterday we celebrated our 10th Birthday over a glass of 10 Bitter Years. And now we are proudly celebrating 11 years of growth and success with lots of exciting new developments. These days, we’ve got lots to be bitter-less about. Our Nut Brown and Pale Ale sales have increased from 45 to 130 thanks to the work of North American Craft, an independent sales company that represents craft brewers at the LCBO. Our Beer Store and pub sales continue to climb and Torontonians are making the trek out to Etobicoke to buy our seasonal beers from the brewery’s retail store, some even staying for a tour while sipping Oaktoberfest, Nutcracker Porter or Double Chocolate Cherry Stout. This year we also saw Simon DaCosta step up as Black Oak’s head brewer. We’re very pleased to have Simon, who attended Harriot Watt University in Scottland, on board. Simon is supported by Jonathan Hodd, who also brews with Ralph Morana at Bar Volo’s House Ales." Jorg Gutziet, a Toronto native, brings a cheerful sense of humor to Black Oak’s GTA deliveries, which have picked up steadily in recent months. And finally in September Tracy Phillippi joined thier team, and has been ramping up thier distribution and web presence, as well as organizing upcoming events and parties. As beer expert Troy Burtch put it in the Winter 2009 issue of TAPS Magazine, our President Ken Woods’ “dedication and persistence has built the Black Oak name into a very respected and reputable brewery that isn’t afraid to brew up a batch of beer for the beer geeks, while still wining over new beer drinkers with their Pale Ale” – A batch of beer that has given us our reputation of being Ontario’s most consistent brewery. Join the countless Black Oak Beer Nuts on Friday November 11th (that’s right 11/11/11) from 6 to 10 pm to celebrate their 11th Bitter Year. For $20.00 per person, Black Oak Brewery will be transformed into a craft beer drinker’s paradise, with special one-off casks and kegs you’ve never seen before. The admission fee covers all your beer and food, plus live jazz and Motown music by Toronto’s Brown Sabbath. So, put 11/11/11 in your beer drinkin’ calendar and come drink good beer, where good beer is made.